Last week I was contacted by Emily from tshirtprinting.org who asked if I'd like to have a Phil on Film t-shirt made up and sent to me. I took her up on the offer, and a few days later this arrived in the post. Finally, my brand is starting to take off! 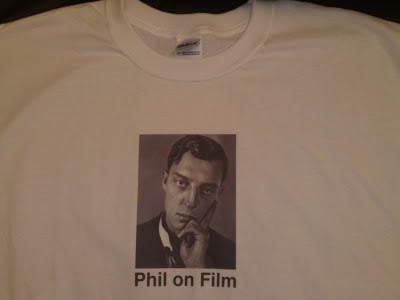 While plans for the Phil on Film gift shop may still be in their infancy, this is a very nice item to have. Tshirtprinting.org provides printing services for businesses and individuals throughout the UK, so get in touch with them if you fancy having a shirt made with your own design. 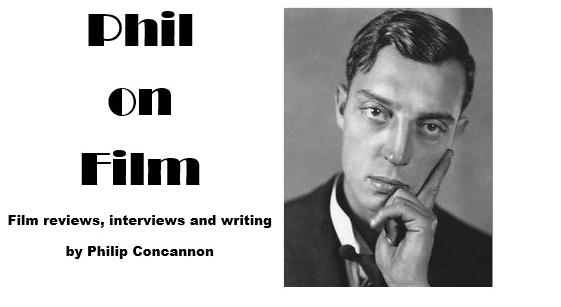 You don't even have to have Buster Keaton's face on it, although I don't really understand why you'd want anything else.